Page 1 - KaBOOM! News | KaBOOM! This week, our hearts are heavy watching news reports of the devastating damage Hurricane Harvey has wrought throughout Texas and beyond. We cannot help but think of the many kids and families who have been displaced and impacted in stressful, scary ways. We know that crises like natural disasters are traumatic for everyone involved— especially kids. We also know that, in the aftermath of a disaster, it is incredibly important for kids to feel a sense of normalcy despite the stress that they experience. That is why we are working with organizations like Save The Children, who have set up Child Friendly Spaces in shelters located near the impacted areas. These spaces give kids the opportunity to take a break from the surrounding chaos by providing them safe places to play, thus reducing the stress that they are facing. We are in close touch with these organizations and are ready to provide support for kids and families by deploying our creative play products where they tell us they are needed. We also connected to our Houston-area grantees and organizations that provide relief services for kids and families. We are ready to assess long-term needs once recovery begins. As communities rebuild after a disaster, the needs of kids can often be overlooked. 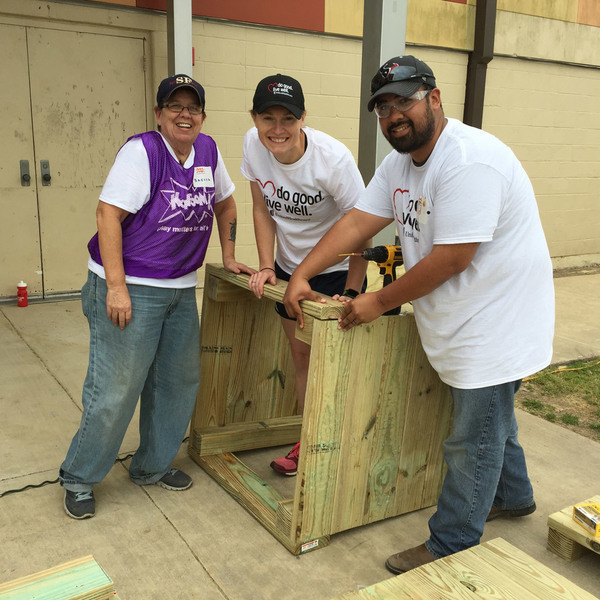 Our priority is to help the neighborhoods and communities impacted by Hurricane Harvey to come together to bring play spaces to the kids who need it most. Once recovery begins, we are ready to accept any requests and ideas about play space repair and rebuilding across the areas affected. Our greatest hope is that recovery can begin as soon as possible. Richmond, Virginia has seen its share of hardship. The poverty rate is 25%. For kids alone, that number rises to nearly 40%. Though there are lots of opportunities for development, progress on solutions can be sluggish when city departments and organizations don't work collectively. "All too often, well-intentioned community leaders and advocates work in silos, focusing on one area of impact without tapping the resources and expertise of their neighbors," said Ashley Hall, manager at the Capital Region Collaborative, an organization that brings together groups to enhance the quality of life in Greater Richmond. Ashley has found that even while living and working within mere miles of each other, collaboration and alignment are often a challenge. Fortunately, there is one cause that's uniting people in Richmond: creating a more playful place to live. "Play is something that resonates with everybody," said Jeff McIntyre, a director at Sports Backers, a non-profit that inspires Richmond residents to live actively. Through his work, Jeff has discovered that whether a group's focus is economic development, education, or most anything else, play is a cause that bridges the gap and brings departments, organizations, and citizens together. Recently, Richmond has been more intentional about their efforts in play. They built ARCpark, an accessible playground that is open to the public. And they provide other playful opportunities available to all kids, including a basketball league with CarMax, a KaBOOM! National Partner. 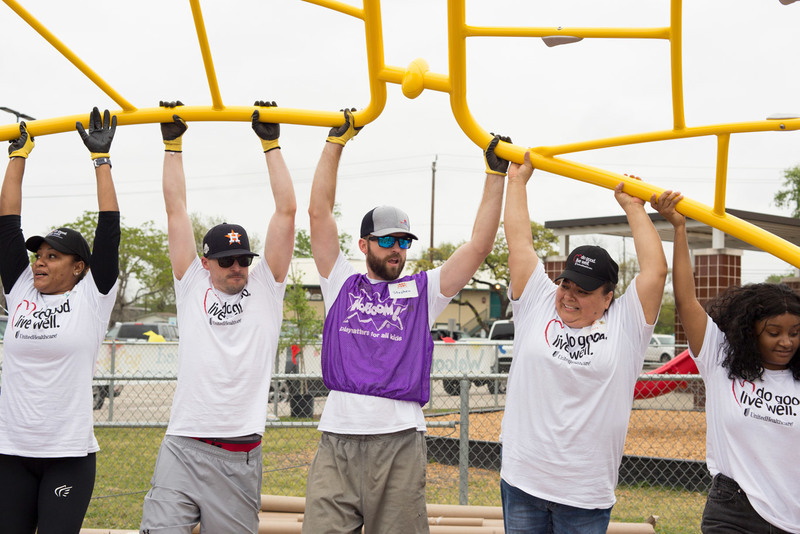 These efforts were catalyzed last year, when Ashley and Jeff discovered Playful City USA, our recognition program honoring cities and towns that ensure all kids - particularly those in low-income communities - get the balanced and active play they need to thrive. The application process alone proved to be beneficial, as the duo were engaging in dialogue with Tamara Jenkins, recreation coordinator for the City of Richmond. 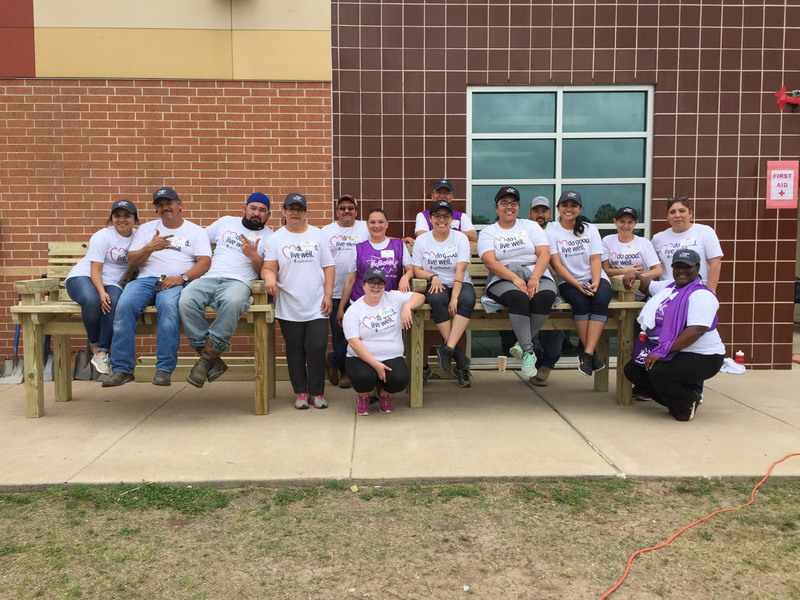 "The ability to reach out to counterparts and get new ideas is bringing more people into play and into their facilities and parks," said Tamara. "Being able to collaborate across the region now, there's no limit to the things we can do." The Playful City USA honor was just the beginning. 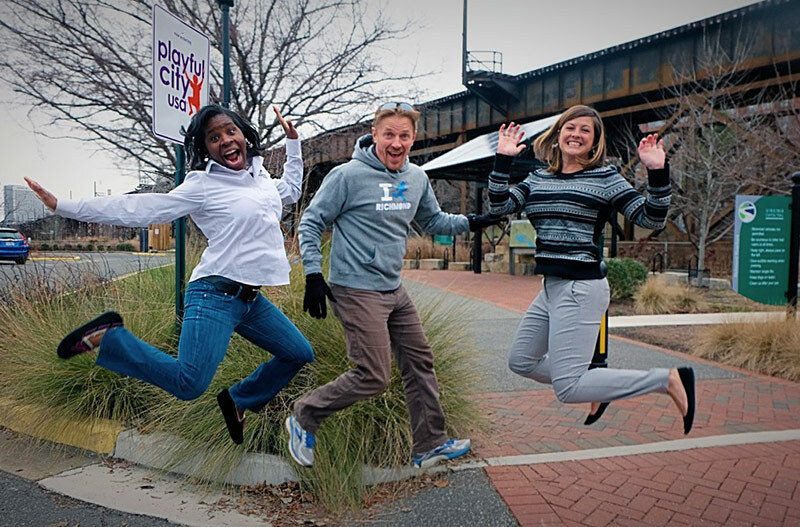 Ashley, Jeff, and Tamara then learned about the Play Everywhere Challenge, a national grant competition led by KaBOOM! to transform everyday spaces into places for play. With the synergy they had already established working on the Playful City USA application, this cross-sector team felt emboldened to recruit others in the community to enter the competition. They ultimately collaborated with Virginia Commonwealth University's da Vinci Center to create Upswing, retractable jump ropes and sidewalk play in front of barber shops in low-income neighborhoods. The grant proposal was funded, and the project even landed Richmond a spot in the New York Times. The City is continuing to feel the momentum of their Playful City USA designation. They're now working with several other municipalities in the area in an effort to earn them the same recognition. 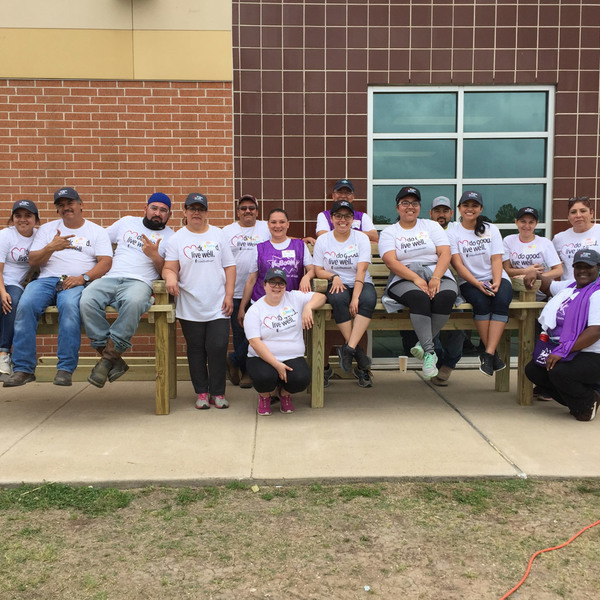 Through the process, employees are transcending their roles at a particular government agency, business, or non-profit, and are collaborating as neighbors to bring play to all kids in Greater Richmond. 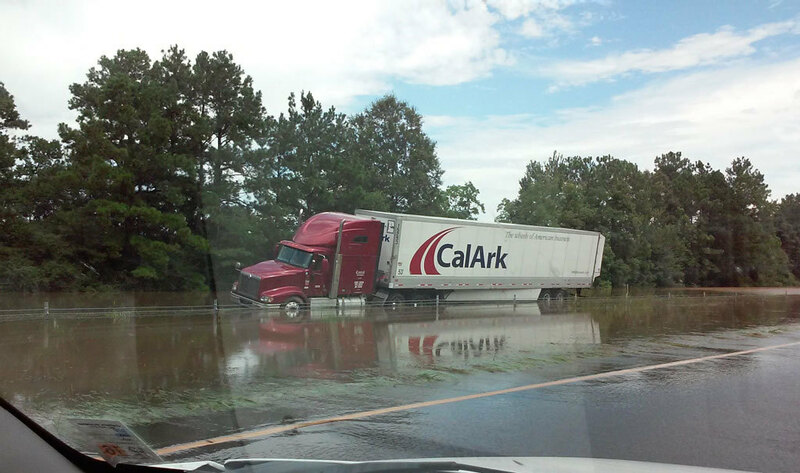 When the flood hit Louisiana this August, it hit hard. At least 13 people died and tens of thousands of homes were affected, causing billions of dollars in property damage. In some parishes, 90% of the structures were affected. "The flooding came at a tremendous speed. You might have been walking in an area, and 15 minutes later it was underwater. Many people lost their homes, their cars; it was a disaster. I would compare it to Katrina, but without the winds," said Diane Drake of BREC, the subdivision of the state of Louisiana that oversees parks and public spaces in East Baton Rouge. BREC has been working tirelessly for weeks to assist with disaster relief. They've set up shelters and have provided access to conventional basic needs, like food and water. They've also provided access to play. Extensive research confirms the importance of play to helps kids deal with toxic stress. It's in disaster situations that this kind of outlet becomes especially urgent. Just put yourself in the position of a child who has to leave their home, maybe in a boat. They don't know where they're going, they don't know what's been left behind. They're going to this big place with just cots and people who they don't know. And there's nothing to do at all. At the shelters and emergency camps, BREC was able to give kids a little bit of a daily routine and get them out of this situation of uncertainty into a time where they can just play. They don't have to worry, they don't have to think about what's next. They can just be free and play and move and use their imagination. 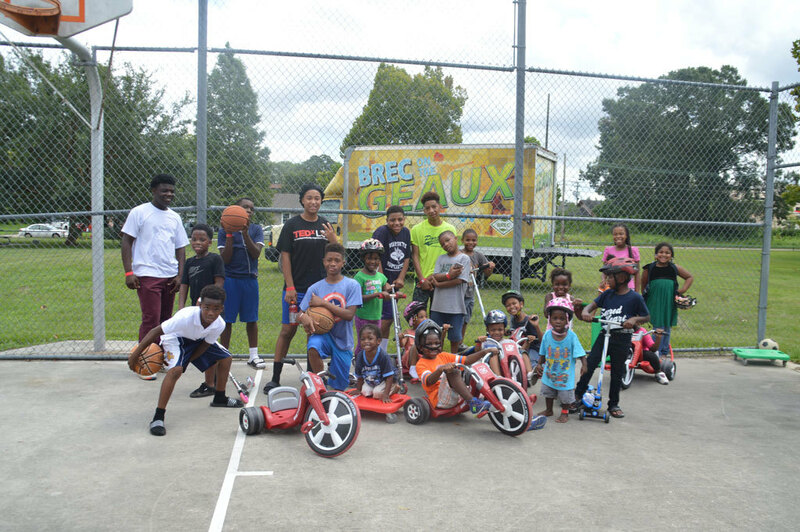 Kids confined to these shelters were delighted by BREC on the Geaux, a mobile recreation program designed to get the youngsters active and having fun. It's a truck that opens up to offer all types of playful materials: hula hoops, trampolines, sports equipment, and even an obstacle course. The "fun-mobile" had previously been used at parks and recreation centers. Now, it was serving a similar function in more pressing circumstances. This playtime also benefitted the parents, many of whom were still trying to process the enormous impact of the flood. "It gave the adults a break, where maybe they needed to be making phone calls or they might just need some private time where they could quietly grieve what had happened without doing that in front of the children," said Cheryl. Perhaps the most unique and exciting aspect of the play relief came in the form of a Rigamajig. Though it sounds like it came out of a Dr. Seuss book, Rigamajig is actually a collection of wooden planks, pulleys, and ropes designed for hands-on play and learning. BREC received the Rigamajig through a Let's Play Grant in 2014. The Rigamajig was invaluable at the shelters, in part because it encouraged a sense of community between the kids. Although they didn't know each other coming into the shelter, they quickly found themselves sharing parts and working together to build all sorts of creative contraptions. "It created new friendships among kids who didn't know each other," recalls Diane. "It helped them to have something shared." Even when it was time to pack up, Diane was moved by the cooperation the kids demonstrated, volunteering to stack Rigamajig parts. "Although many of them didn't want to stop playing, these simple chores gave them a chance to be part of something normal." Though it's been several weeks since the flooding, Louisiana is still very much in recovery mode. Many kids are unable to go to school, and don't have access to safe places to play. We're continuing to work with community partners in the region to assess needs and offer support. 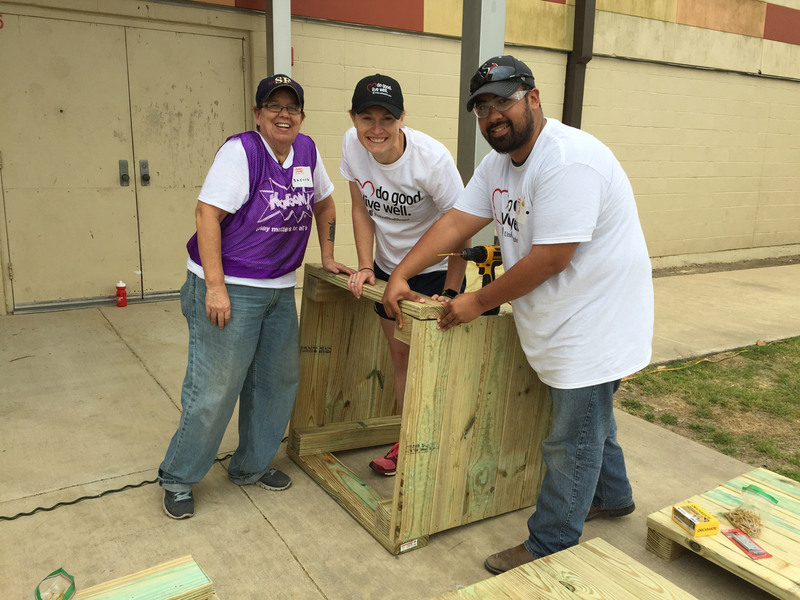 Learn more about our work to bring play to communities that have been affected by natural disaster and crises. Discover what Rigamajig can do for kids near you. Last fall, Byron Gilliland asked the janitor to help him move most of the furniture out of his classroom, leaving behind just a few tables and chairs, and a huge amount of empty floor space. He was thrilled to have extra room for educational adventures. The janitor was happy to help (it would make the classroom easier to clean). 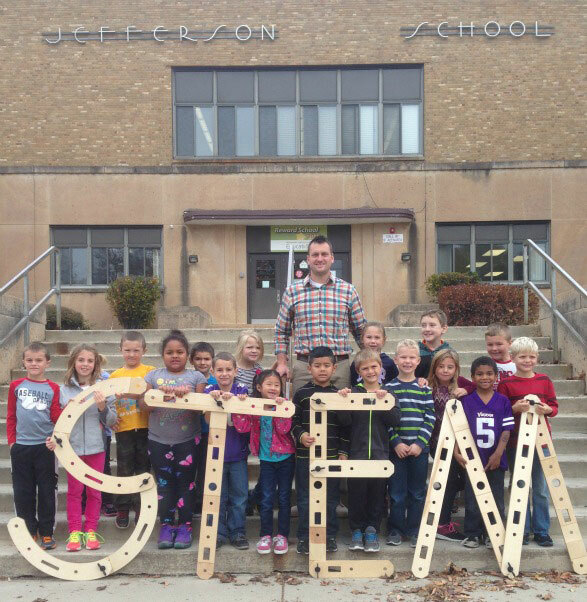 Byron is a 1st grade teacher at Jefferson STEM Elementary School in Winona, Minnesota. But sometimes he feels more like his students are teaching him. "At least once a week, I point out to my students something I've learned from them. They figure out things that I wouldn't have thought of. As a student they absolutely love that. How often do you hear as a first-grader that you're smarter than your teacher? It gives them more drive to put in extra effort." Byron is always looking for new ways to challenge his students creatively. 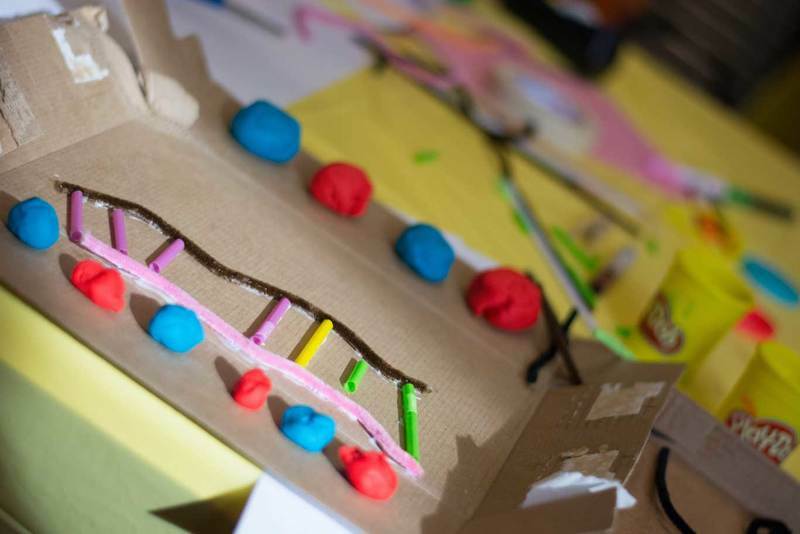 When he heard about Rigamajig, he had a hunch it would be exactly the learning tool that he was looking for; something that could help his students cultivate enthusiasm for scientific inquiry. On its surface, Rigamajig is a collection of wooden planks, nuts, bolts, and loose parts. However, when mixed with the passion of a caring, motivated teacher, it becomes an infectious means to encourage free play and inquiry-based learning in the classroom. Can you spot Byron? He's the big kid in the back. Byron's been focusing on science and engineering because it helps his students with higher-level thinking skills. They're encouraged to think outside of the box to develop practical solutions to real-world problems. Recently, the class did a joint effort with the U.S. Fish and Wildlife Service (USFWS) to develop new ideas for uprooting invasive species. The students had a brainstorming session to determine what kind of machine would have this capability. Eventually, they settled on a pulley and sketched out different possible designs. Using the Rigamajig, the students were able to bring their ideas to life. They negotiated different pulley systems and voted on the one they thought would work best. Afterwards, the class went into the field to see the machines that were actually in use by the USFWS. The students relished the opportunity to relate the work they were doing to the real world. 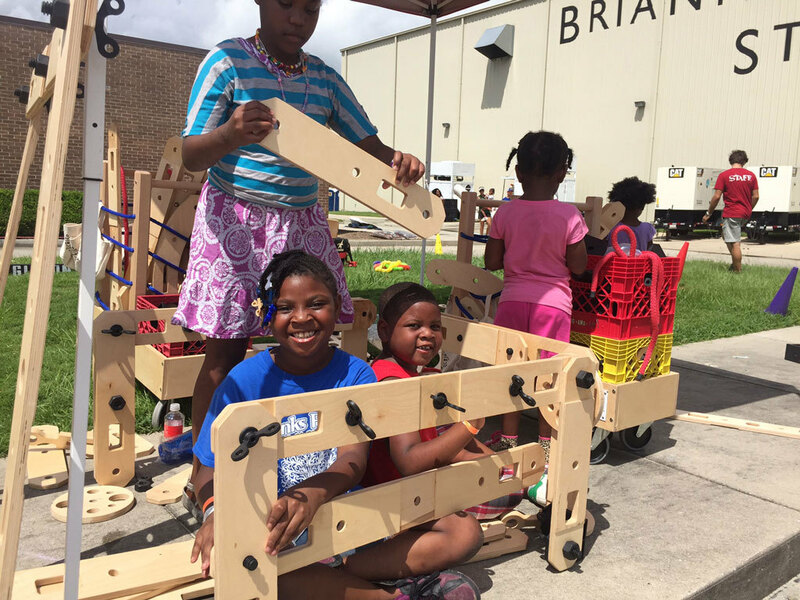 Byron's approach to project-based learning with the Rigamajig encourages inclusiveness in the classroom. Students of varying academic and social competencies find themselves working together, suggesting ideas, and learning from each other. "It's amazing how much you can get away with when the results show up. As our test scores go up, it seems like I can try a lot more things in my classroom." Now, when the janitor passes by Byron's room during the school day, he often stops to watch and smile – and not just because of his lighter workload! Learn more about Rigamajig. We have grants available for qualifying schools and organizations. See what Byron's been up to on his class's Facebook page. There's something special about a kid's sense of wonder and intrigue while looking at the world. We were reminded of this several weeks ago, when a group of students came to our Washington D.C. headquarters with the After-School All-Stars Program, as part of the Career Exploration Opportunities (CEO) initiative. They came to learn about our work and to gain a more well-rounded idea of future career options. We led them through an activity designed to get them thinking about our vision for cities to incorporate play everywhere. First, we went outside to the courtyard in front of our office building. They broke into groups to explore the area and think about different ways they could make it more playable. Then, we passed out coloring supplies and had the students sketch out their ideas. "When I went outside and saw the plaza, my first thought was that we have to make more space," said Anthony, a 12-year-old participant. "Most plazas don't have things that 'wow' people. I want everyone to be amazed." After the students had a chance to draw their ideas with crayons, we went back into the office. With shoe boxes, pipe cleaners, clay, and other art supplies, the groups transformed their drawings into 3-D dioramas of their new play spaces. When they finished, each group presented their project to the rest of the class. We were amazed with what these kids came up with; ideas ranged from turning the fountain into an aquarium to setting up climbing boulders. Perhaps the most surprising aspect was the students' determination for inclusivity. One group thought to include a moving walkway with handrails for seniors and people with disabilities. It seemed fitting that a play space should be accessible for all people. Once Anthony finishes school, he would love to be a pro football or basketball player. But if that doesn't work out, he'd like to be a contractor or an engineer. "I want people to appreciate and enjoy things that I build. I want kids to pass by and say 'I like that building. Can we go in there, Mom, Dad?'" Seeing the enthusiasm of Anthony and his classmates throughout the afternoon, it was clear that they were inspired to take on the challenges that lay ahead. And we were, too. The students left our office with a new perspective of what it's like to "go to work"
Learn more about the work we're doing to bring play everywhere. Did you play scrabble or Jump the Creek today? Attendees at the Aspen Ideas Festival did. Across campus, a series of playful, interactive installations are transporting participants back to their earliest memories of "just being a kid." With one of the tracks at Spotlight Health focused on The Child, what better way than to remind global thought leaders of the importance of play for all kids. Running around outside, doing hopscotch or double Dutch on the sidewalk, playing sports at the local park until the sun went down. For most of us, our play time growing up made a deep and undeniable impression: the laughter, the creative outlet, the friendships made with other kids. And perhaps most importantly, play created a strong foundation for our future success, by helping us to build new social skills and greater self-confidence, explore risk-taking opportunities and live a healthier lifestyle. Today's kids deserve each and every one of those benefits linked to play, but they aren’t growing up this way. Playing outside until the sun sets is a distant memory for most. And in many communities across America, kids aren't getting the play they need to thrive. Our research shows that play can easily become overlooked in the day-to-day life of families – especially those living in poverty. Kids growing up in poverty spend almost 25 percent more time than their more affluent peers doing chores and running errands with their parents and other caregivers because there is no viable alternative for child care. In too many communities, it is often not safe for kids to roam out of a caring adult’s sight. If play is inconvenient or unsafe, it becomes the forgotten option. But we can’t let this happen, for the sake of our kids’ healthy futures. What if the answer were so simple, it seemed revolutionary? What if we made it hard for kids not to play by creating opportunities to play everywhere? We have received over 1,000 outstanding applications with creative ideas that seek to integrate play into kids’ daily lives. Today we announce the 200 finalists. The finalists will receive funds and assistance to further hone their ideas, and in September we will award $1 million in prize money to enable 50 winners from all across the United States to bring their ideas to life. We hope you will join us to celebrate play everywhere throughout the Aspen Ideas Festival. You may have noticed the playful, interactive installations around campus – whether it’s on sidewalks or at the hot dog stand! Be sure to stop for a moment and PLAY, and use the hashtag #playeverywhere to capture the fun. Visit RWJF and KaBOOM! in the Paepcke tent to learn more about the Play Everywhere Challenge, our finalists, building a culture of health, and how to create play opportunities back home. As you connect with your playful side during the Festival, let’s all commit to ensuring all kids get the childhood they deserve filled with play. Fields of dreams are great, but innovate and they will come. That is the message that KaBOOM! 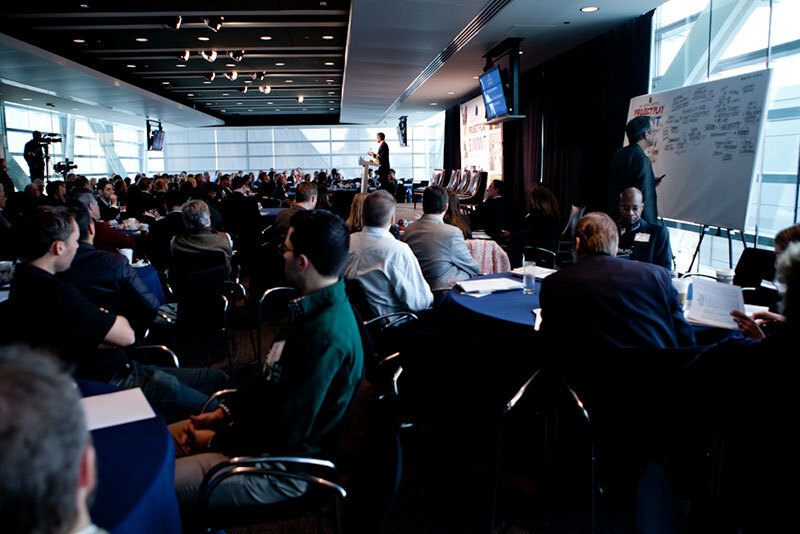 CEO James Siegal will deliver when he takes the stage at the 2016 Project Play Summit on May 17 at the Newseum's Knight Conference Center. Hosted by the Aspen Institute's Sports & Society Program, the 2016 Project Play Summit is the nation's premier gathering at the intersection of youth, health and sports. Over 350 thought leaders will join Siegal at the all-day event to take measure of the collective progress made in the past year, learn through session dialogues, and celebrate the announcement of new initiatives that will increase access to early positive sports experiences. Siegal will join a panel inspired by the Project Play strategy to "Think Small" in creating play and sport spaces. It's the same strategy for which KaBOOM! was recognized in the seminal Aspen Institute report, Sport for All, Play for Life: A Playbook to Get Every Kid in the Game. 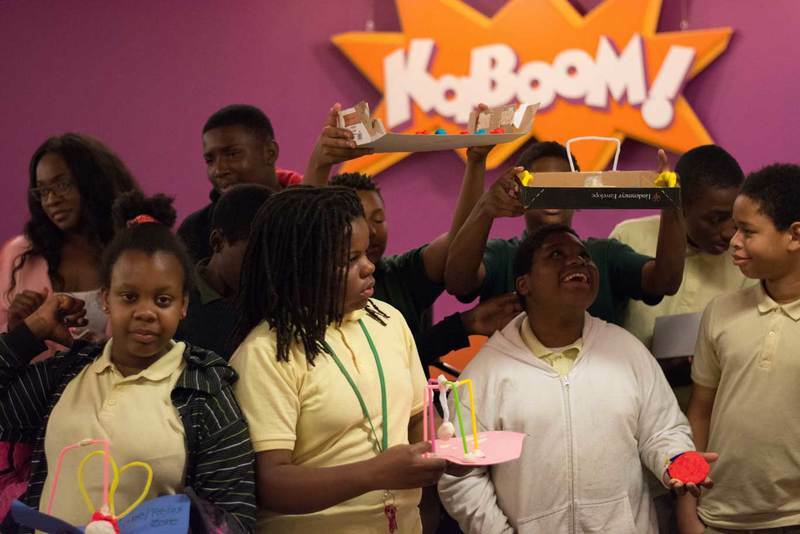 Innovation and creativity have been the catalyst for the KaBOOM! Play Everywhere Challenge, making Siegal the perfect candidate to help answer the question framing the panel, "Can we systematize creativity in play spaces?" In reflecting on this question, Siegal will help attendees understand how they can take meaningful action in their communities and through their institutions to grow access to early positive sports experiences. The session will be moderated by Kevin Martinez of ESPN. Joining Siegal and Martinez will be Corliss Allen Solomon (Doctoral Student and Wayland H. Cato Jr. Fellow, University of North Carolina at Charlotte), Chip Patterson (Executive Director, The First Tee of Greater New Orleans), and Erin Smith (Director of Education and Training, US Lacrosse). This is the second year that KaBOOM! is represented at the Project Play Summit, following KaBOOM! founder Darell Hammond's participation in 2015. Other featured speakers at the 2016 event include: Dr. Risa Lavizzo-Mourey, President and CEO, Robert Wood Johnson Foundation; Alonzo Mourning, NBA champion; Allyson Felix, Olympic champion sprinter; Mary Davis, CEO Special Olympics, Tab Ramos, Youth Technical Director, US Soccer Federation; Jim Whitehead, CEO, American College of Sports Medicine, and Benita Fitzgerald-Mosley, CEO, Laureus Foundation USA. For more information about the 2016 Project Play Summit, visit the Aspen Institute website. Playability is gaining momentum and decision makers are embracing playability. Over 80% of the population lives in urban areas, with the percentage of kids even higher. Akin to walkability and bikeability, playability is the extent to which cities make it easy for all kids to get the balanced and active play they need to thrive. Cities are increasingly recognizing that play can be part of the solution to the challenges that they already prioritize. Cities are also becoming hotbeds of innovation, and this innovation has the potential to increase playability. Playability looks different in each community, such as extending the school day to enable all kids to get recess and PE, shutting down streets in low-income neighborhoods to let kids play and increase foot traffic for local merchants, or redesigning the town square for the benefit of kids and families. Since we first coined the term in March 2014, various thought leaders and national media outlets focused on cities, corporations and consumers have picked up on the trend of playability in cities. These though leaders and media outlets are spreading the work about what cities are doing to enable more opportunities to play and how important this is for the health of kids and communities. To help accelerate the trend, we convened twelve leading 2014 PUCSA cities at a Leaders Summit last fall. 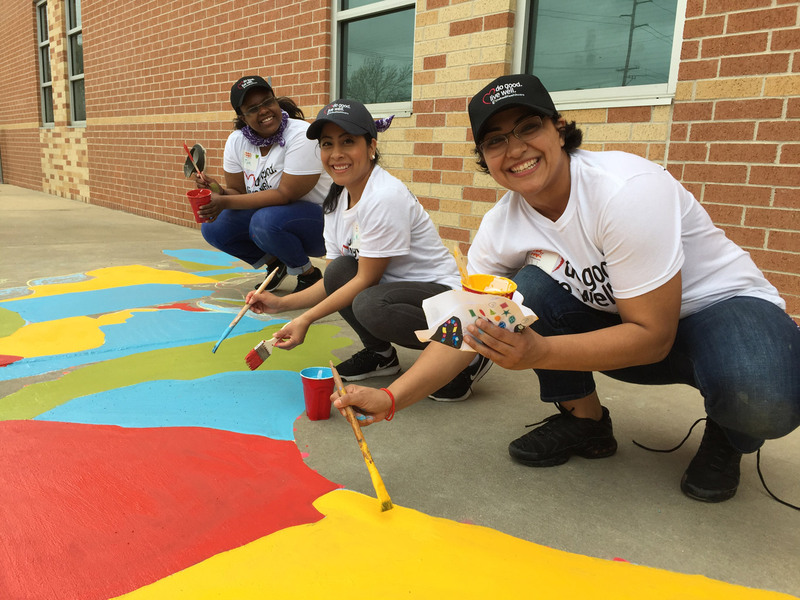 These cities developed big ideas for addressing their own city-wide challenges (from childhood hunger to use of non-motorized transportation to attracting and retaining families) by using play. These cities continue to tackle some of their biggest challenges by increasing playability. Some cities are leveraging existing large-scale institutions to achieve playability. Chicago has implemented the Chicago Plays! program to bring play to every kid. 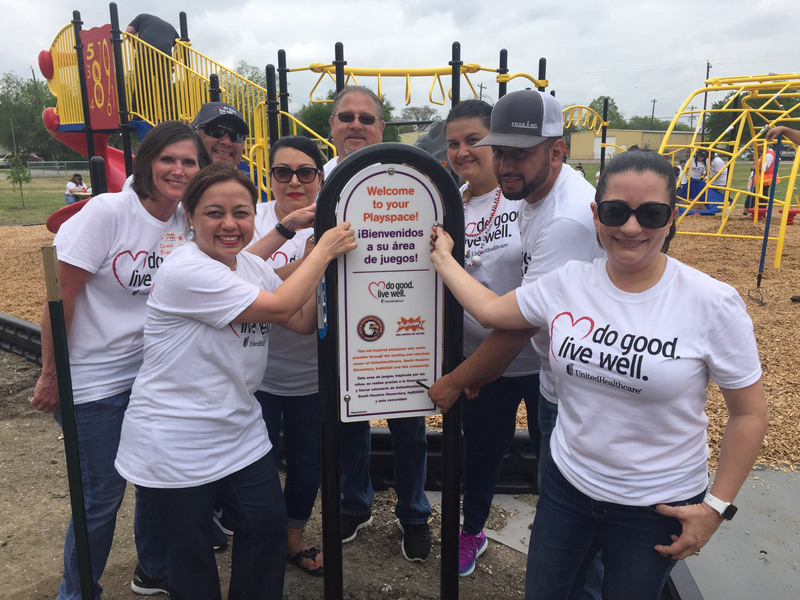 The mission of the program is for every kid to be within a seven to ten minute walk of a park or playground. 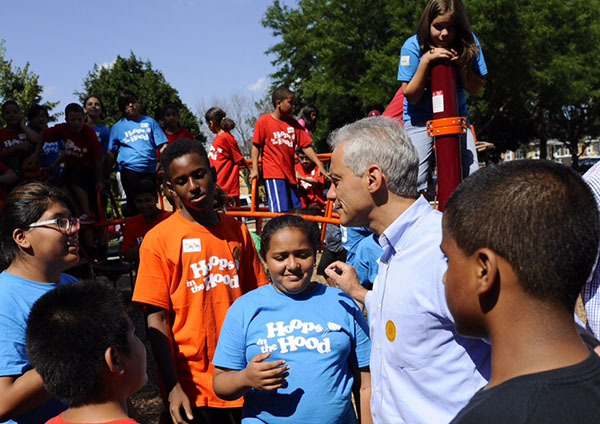 In the past 5 years, the city has refurbished or built 325 playgrounds, investing $37.5 million for the kids of Chicago. 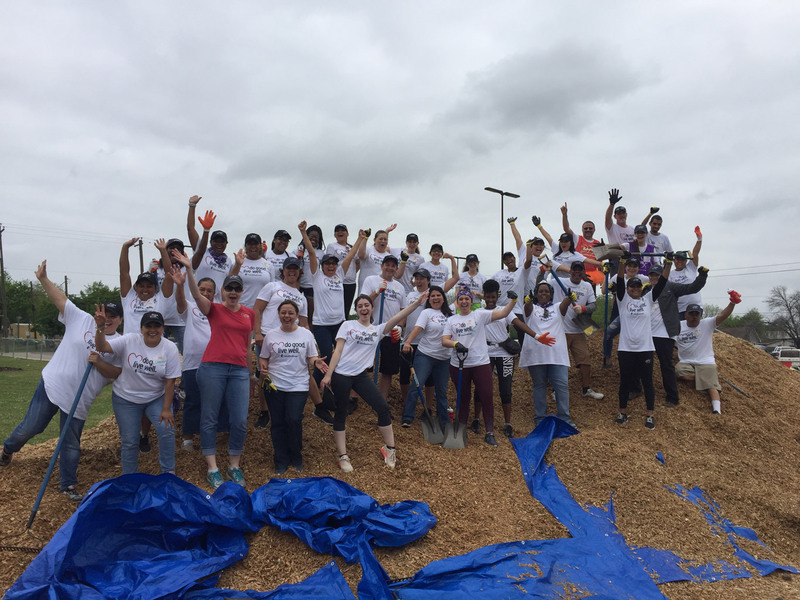 Chicago has also provided Spaces to Grow, transforming 34 schoolyards into active spaces for the community. These schoolyards prioritize active play, outdoor learning, exploration, and community engagement. Through Chicago Plays!, the city aims to build 26 additional playgrounds at schools where there is no playground or where the current playground is unsafe or outdated. 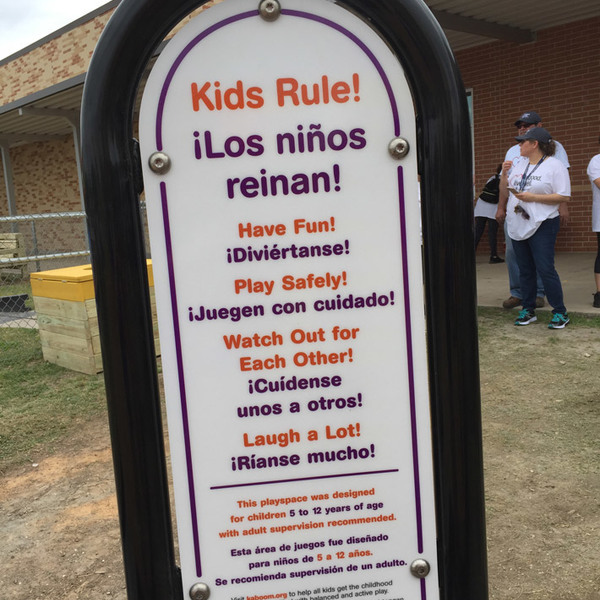 The city has also implemented a 30+20+10 policy in 54 schools where elementary school students receive 30 minutes of PE, 20 minutes of recess and 10 minutes of playful active classroom activities each day. Chicago Public Libraries are working to make the children's section of each library a play area that facilitates learning and engagement. 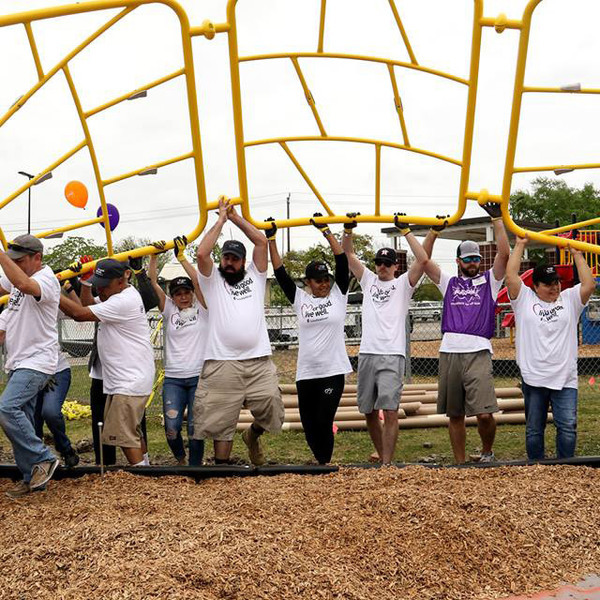 Other cities are embracing playability by instituting new city-wide policies and allocating funds to these initiatives. These policies can increase playability in neighborhoods throughout the city. Bismarck, North Dakota has a new policy that will require play in all new developments. The Bismarck Parks and Recreation Department, in conjunction with local developers and the City of Bismarck will actively enforce the new policy that obligates a neighborhood park be placed in every new development. The policy and ordinance will allow for parks to be developed with a playground, shelter, and loop trail. This policy strives to provide a place to play within a half mile of every resident in new developments. Another city-wide approach to increase playability is through public financing of kid-friendly arts projects. 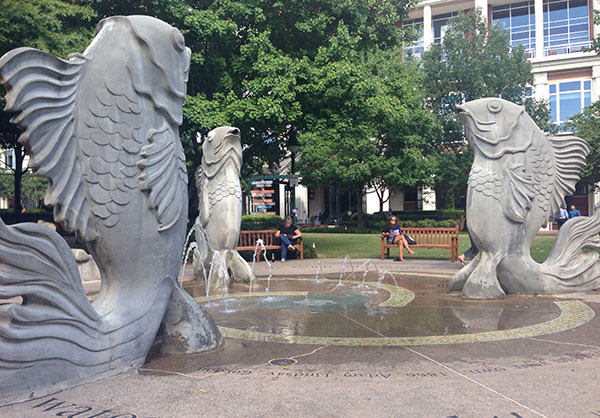 The Charlotte, NC City Council has adopted a new ordinance that appropriates 1 percent of eligible capital improvement project funds for public art to enhance public spaces. This playful art can be seen along every stop on the Lynx Light Rail, in the Arts District of North Davidson Street and throughout Center City. Charlotte also offers unique art experiences such as the Arts & Science Council "Finding your Part in Public Art" scavenger hunt. Cities can improve the quality of life of all residents by embracing playability. As cities embrace and implement playability, we need to ensure that play is used to address inequity. Playability needs to avoid the pitfalls of the walking and biking movements, which have been positioned as a competitive advantage for cities to attract and retain the creative class, particularly young, college-educated professionals. All families deserve to live in safe communities with ample job opportunities, affordable housing, great schools, and abundant opportunities to play. There is currently inequitable distribution of services, resources, and opportunities for low-income families, and cities need to be mindful that opportunities to play do not become yet one more inequitably-distributed asset. Some cities are finding creative ways to ensure that their poorest kids have access to play despite economic constraints. In the economically distressed community of Flint, MI -- 58% of all Flint youth live in poverty -- the budget for the Flint School District does not include providing extracurricular activities like physical education time for kids to play. Because the city values its kids, a public-private partnership that includes a diverse group of community partners has emerged to fill this gap. For example, the Crim Fitness Foundation hosts lunchtime activity programs and the Chamber of Commerce hosts after school programs that incorporate dinner, active play, and music lessons. These programs allow students access to muscle-building, mind-expanding, friend-making play that would not otherwise be possible. And much more is in the works. The Flint Public Arts project in the north side of Flint – one of the city's poorest areas -- is connecting artists with residents to help them re-imagine their neighborhoods. Kids in one neighborhood told project artists that they would like to have a skate park on the site of a demolished house. Within a few weeks the artists and kids together created an art installation which represented the skate park that they are working to bring to fruition. Our behavioral research told us that proximity to play matters. When parks and playgrounds are a bus ride away, they become special-occasion locations. 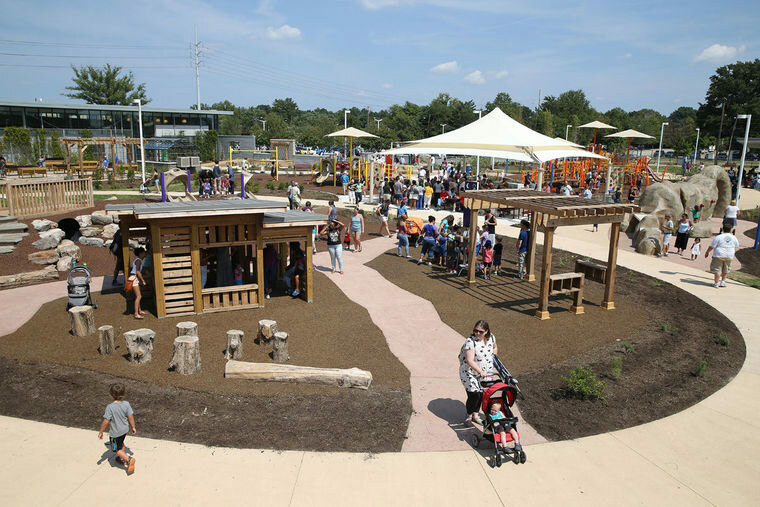 Cities need to offer right-around-the-corner options, and some cities are finding ways to bring play opportunities that exist in other areas of the city into low-income neighborhoods. 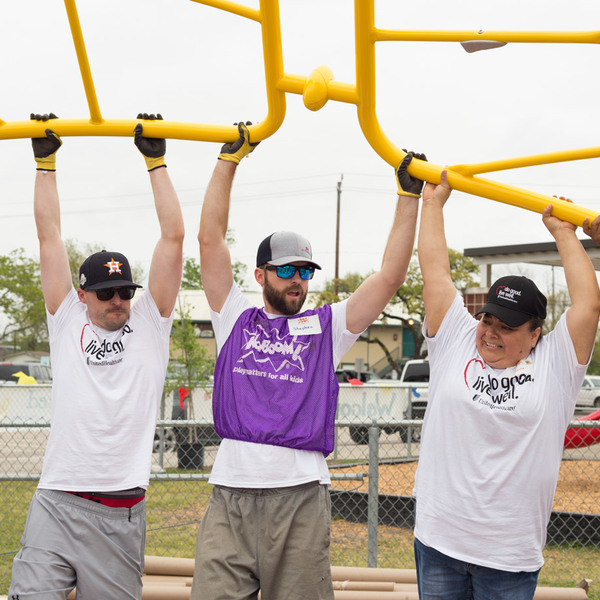 After attending the Playful City Leaders Summit last fall, Brownsville, TX extended its popular health and wellness CycloBia events into underserved and vulnerable areas as Cyclobia2U. CycloBia is modeled after the cyclovias popularized in Bogota, Colombia, where streets are closed down for the exclusive use of pedestrians, cyclists and kids and families who want to play. CycloBia2U are held in the greatest areas of need in the city eight times a year, yielding safer streets, opportunities to play, and improved economic vitality. 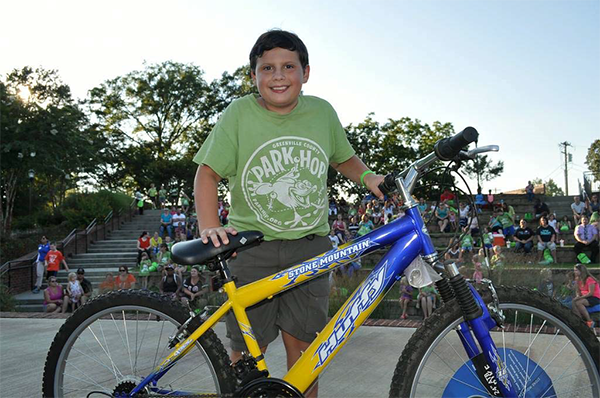 CycloBia2U made its debut on March 22 in one of Brownsville's poorest areas. This is particularly impactful in a city ranked the poorest metropolitan area in the nation. 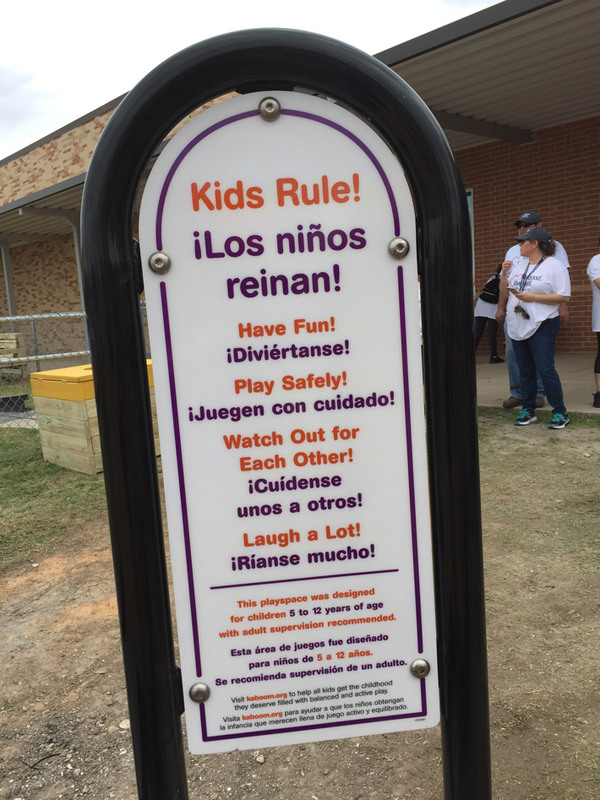 Columbus, GA saw an opportunity to improve neighborhood safety and cohesion by providing places for recreation and play. 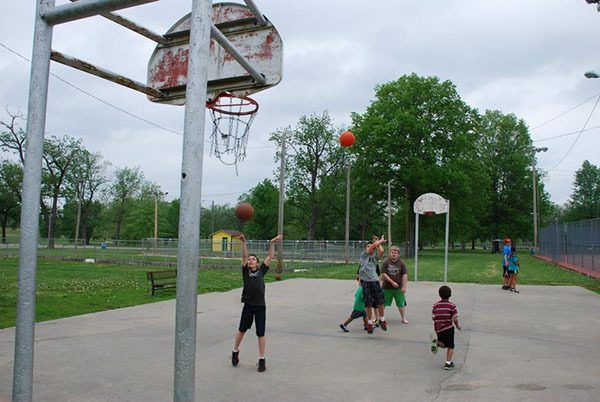 The city had had a robust network of recreation and community centers since the 1950s in neighborhoods around the city that offered opportunities for kids and adults to be active, get together and play. Due to budgetary constraints, in the early 2000s the city decided to close many of the smaller neighborhood recreation centers and shift funds to four large "Super Center" facilities located in the four corners of the city. Unfortunately, what resulted was an increase in crime in the impoverished neighborhoods that no longer had operating recreation centers. Seeing this problem, the city decided to bring play back to some of these neglected neighborhoods by providing funds through a Crime Prevention grant program to reopen closed recreation centers. The first of these facilities -- the Boxwood Recreation Center -- in a high-crime area that lacked recreational play was renovated and reopened to provide programming activities and play opportunities for local kids. It has provided a place for kids to be safe, learn and have fun. 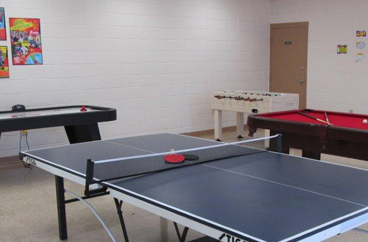 Due to the success of Boxwood, two other closed recreation centers are currently preparing to reopen and provide more recreational opportunities for kids and families in those neighborhoods. Playability is a competitive advantage. Play provides a competitive advantage for cities by developing healthy kids and thriving communities. Beyond the social benefits of play – kids living within 1 kilometer of a park or playground are almost five times more likely to be of a healthy weight than kids without playgrounds in nearby parks; play helps kids become more creative as it encourages recombining ideas, making associations, and transforming objects; play can be a protective barrier against toxic stress for kids experiencing extreme adversity; etc. – communities benefit from attracting and retaining families across the socio-economic spectrum who pay taxes, attract businesses, and care about the health and vitality of their community. The average income for householders from ages 35 to 44 is 28% higher than for those ages 25 to 34, and they are more engaged in their communities. Open spaces such as parks and recreation areas can also have a positive effect on nearby residential property values, and can lead to increased economic vitality through proportionately higher property tax revenues for local governments. Cities are increasingly embracing playability as a competitive advantage. 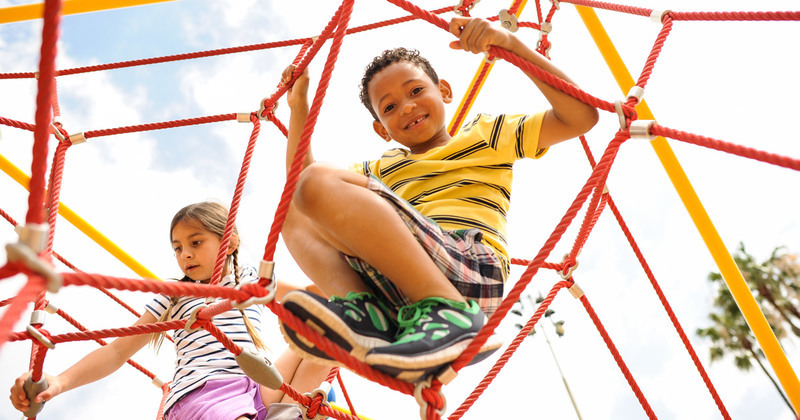 Greenville, SC understands that increasing play opportunities for kids contributes to the city being consistently ranked as a great place to work and live. Greenville combines infrastructure and innovative play everywhere ideas to foster playability. The city has a robust park system with 40 playgrounds, and addresses play deserts -- areas of the city without access to play infrastructure -- with programming. 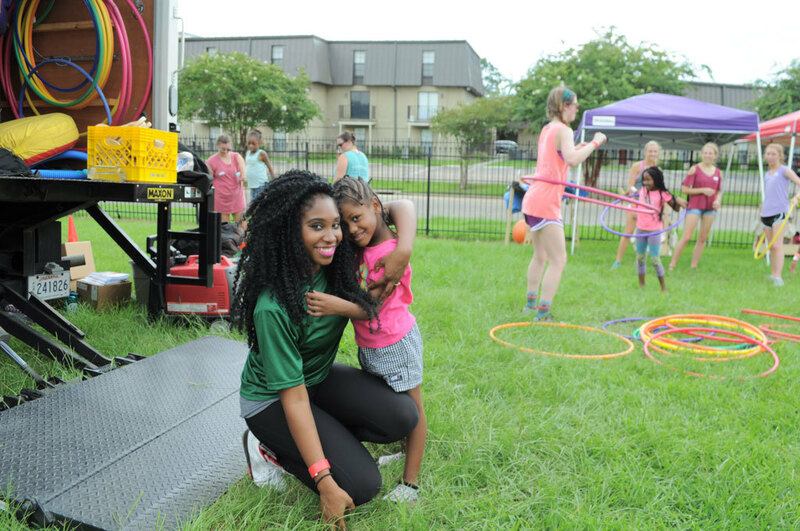 Examples of city-wide programming include Mobi-Rec, a box truck stocked with games and activities; Play Streets, a program that blocks the street for activities such as an art mural to be completed by the children, basketball goals, and bounce houses; and Park Hop a summer-long scavenger hunt that encourages participants to visit local playspaces. With one of the fastest growing populations in the state with a 3.8% growth since 2010, nville is clearly doing something right. Other cities are building vast public-private partnerships to demonstrate a commitment to kids and families. The Playful Pittsburgh Collaborative has launched several initiatives such as Kidsburgh, an online clearing house of resources about activities and programming for children and families; and the Playful Pittsburgh Collaborative Ultimate Play Day, a daylong celebration for the Pittsburgh community to learn about and engage in play. These play focused initiatives are helping Pittsburgh reverse the trend of young families moving out of the city. Mayor Peduto has a goal of attracting 20,000 residents back to Pittsburgh by 2024, and says he "recognizes the value that play has for the city's health and economic vitality." 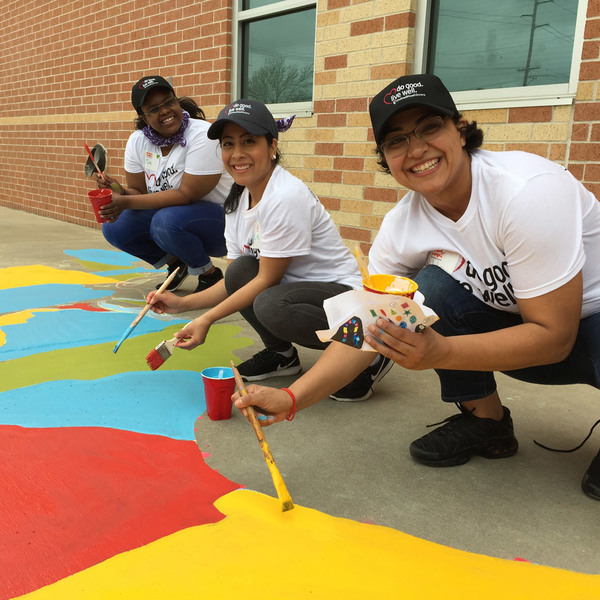 The Collaborative is comprised of member organizations representing city government, philanthropy, educators, museums, healthcare, and parks that are dedicated to advancing the importance of play in the lives of children, families, and communities. Mayor Rawlings Blake of Baltimore, MD believes that "to grow Baltimore by 10,000 families" there must be a commitment to "building a city that is even more family friendly." The city is exploring new and original approaches in order to retain current residents and attract new ones, including providing them with opportunities to play that help them grow and develop as individuals and build community. One such approach includes a thought shift around the use of the city's vacant properties. 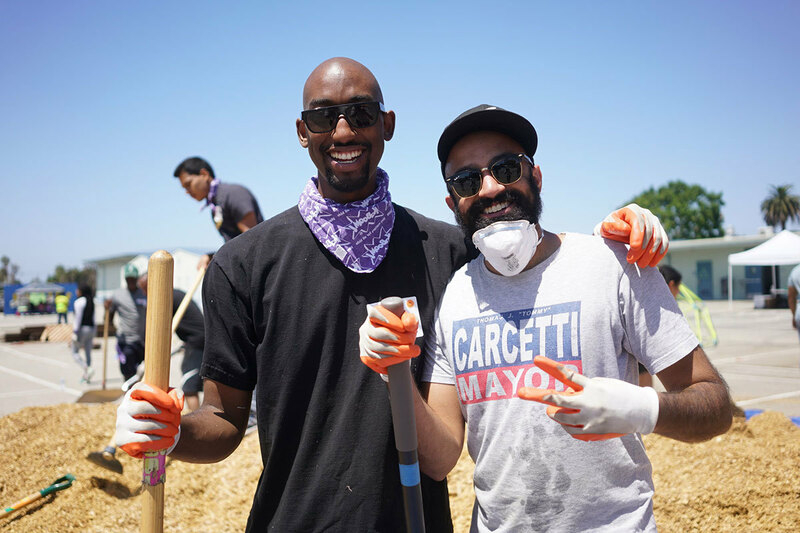 Power in Dirt is a city initiative that significantly reduced government barriers and created new incentives for residents to adopt vacant lots and transform them into spaces that meet their needs. 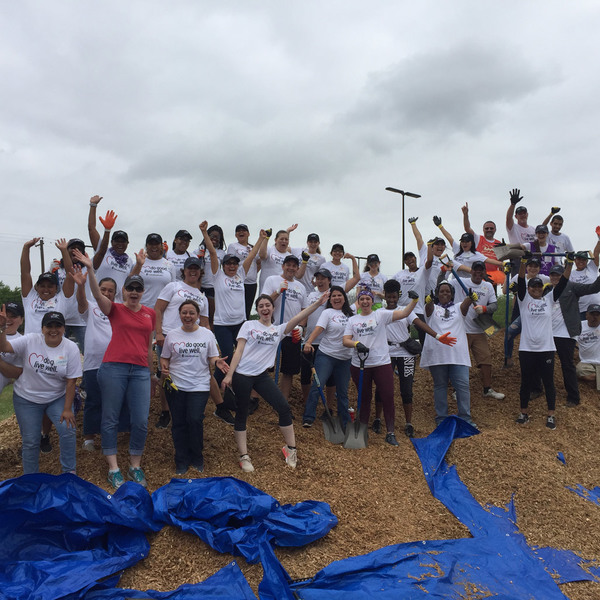 In the initiative's first two years, more than 1,000 vacant lots were adopted. Residents found multiple uses for their adopted land, from open community gathering areas to highly specific uses like a horseshoe playing pit. 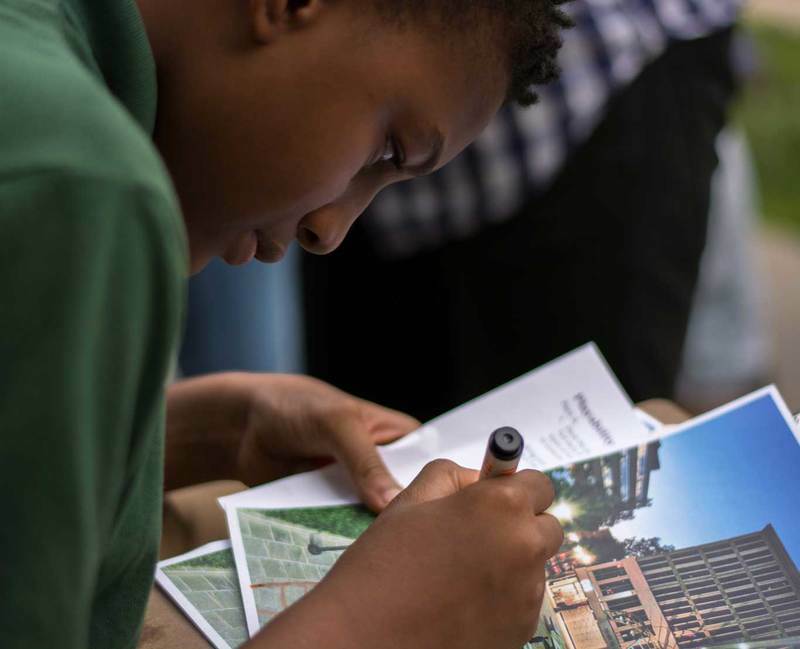 To inspire cities to overcome behavioral bottlenecks that keep kids from getting the play they need to thrive, we conducted research with ideas42, a non-profit organization that uses behavioral science to create scalable solutions to societal challenges. We examined how cities can ensure that all kids get the balanced and active play they need to thrive. This research revealed that to change behavior, cities need to make play the easy, default choice. Kids -- especially those growing up in poverty -- spend a disproportionate amount of time with adults running errands or taking care of daily necessities. This results in excessive down time where kids exist in a "dead space." The solution is for cities to put play everywhere, integrating play into this dead space. Play everywhere means integrating play in routine time and space where low-income families and kids spend time, turning moments of frustration into moments of joy. Cities are reimagining how everything from sidewalks and bus stops to grocery stores, laundromats and health clinics can be filled with play, making it easier for families to prioritize play for their kids. Leading cities are taking comprehensive actions to bring play near all their residents. Ottawa, KS painted 40 hopscotch courses throughout its neighborhoods to promote fun and active play with the Hoppin' Ottawa Campaign. Hopscotch courses can be found everywhere -- downtown, in public spaces (city hall, schools, hospitals), in retail businesses and on trails. 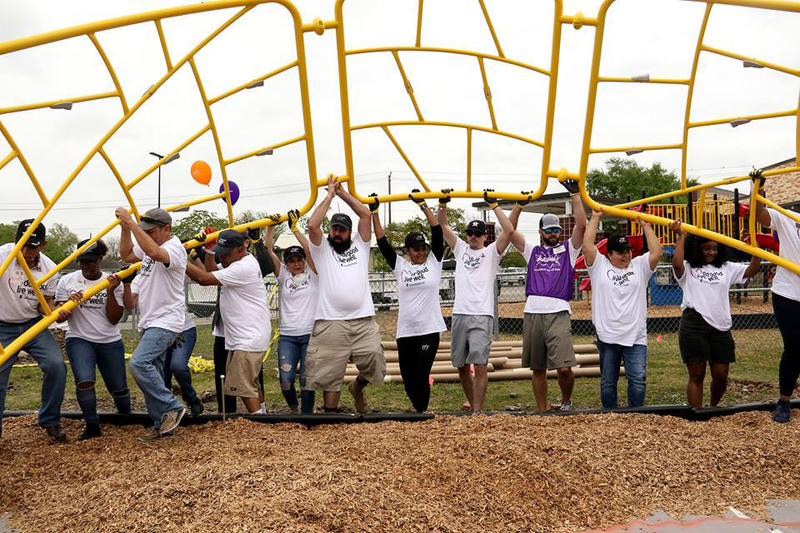 The city also installed three Play Pods – small, innovative play structures made of recycled tires -- on the Prairie Spirit Trail through several lower income neighborhoods that don't have a park or playground within walking distance. The city plans to add more pods in the future in other locations, and neighboring towns have expressed interest in replicating the idea in their communities. 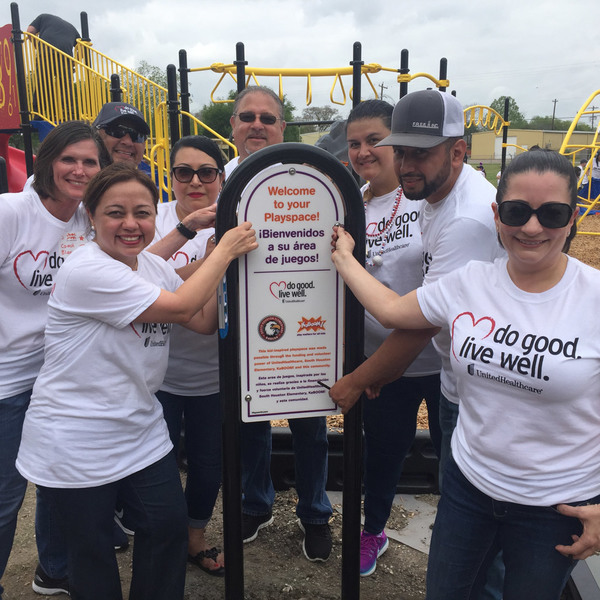 These comprehensive actions were achieved by a Play Task Force of city officials and community leaders focused on improving health and welfare of the community through play. Other cities are providing opportunities for active and imaginative play in places where people are normally sedentary. Playwalks in Thomasville, NC will incorporate active play such as hopscotch, balancing lines, shape hops, and other activities at bus stops, waiting areas and along ordinary sidewalks and trails to make them more kid-friendly. The York, PA Bring On Play committee has a "Play Everywhere" subcommittee focused on creating replicable, sustainable, environmental changes to increase play opportunities throughout the city. The subcommittee's first infrastructure investment is coming soon -- a bus shelter that hosts bike parking spaces and an area for play activities. This initial effort will serve as a model for future shelters throughout the city.